Samsung just announced Galaxy Tab S5e (SM-T725), the company’s latest tablet. It has a 10.5-inch Super AMOLED WQXGA screen, is powered by an Octa-Core SoC and runs on Android 9.0 (Pie). It has quad-stereo speakers tuned by AKG by HARMAN, similar to the Tab S, but it doesn’t have an S Pen or Iris scanner. It has Samsung DeX support offering a PC-like environment with a separate DeX dock and is also the first Samsung tablet to feature the new Bixby 2. It has a 5.5mm sleek metal body and packs a 7,040mAh battery with support for fast charging. 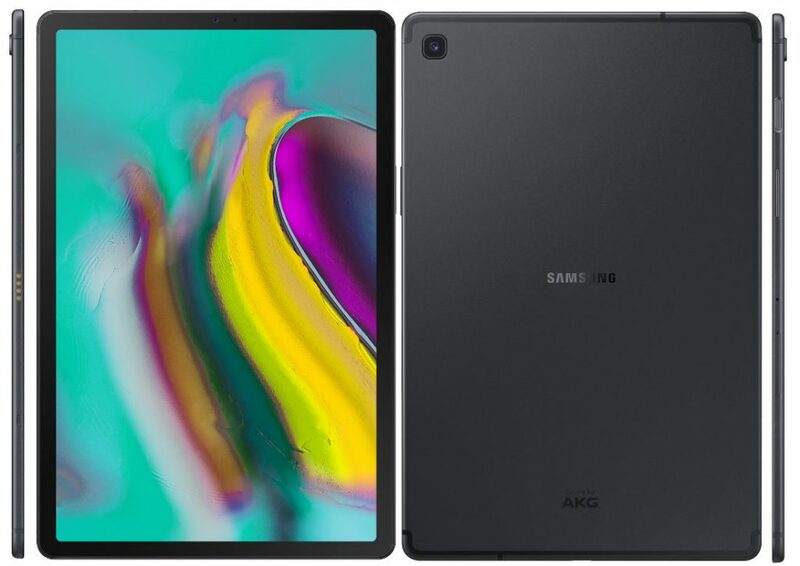 The Samsung Galaxy Tab S5e comes in Black, Silver and Gold colors, starts at $399.99 (Rs. 28,560 approx.) for the WiFi version and will be available in select markets including U.S., Germany and other countries from 2Q 2019. The LTE version costs 479 Euros (US$ 541 / Rs. 38,599 approx. ).